The next #RheumJC session will be Thursday, July 26th at 10pm Eastern Time / 9pm Central Time (click here to find this in your local time zone). 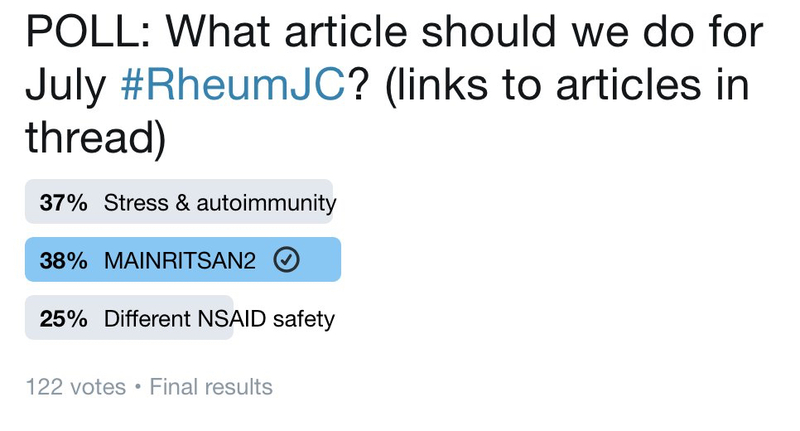 We ran a fun experiment using Twitter polls to decide on this month’s #RheumJC, and in the end it came down to 1 vote (we’ll plan on doing the JAMA stress & autoimmunity article next month). 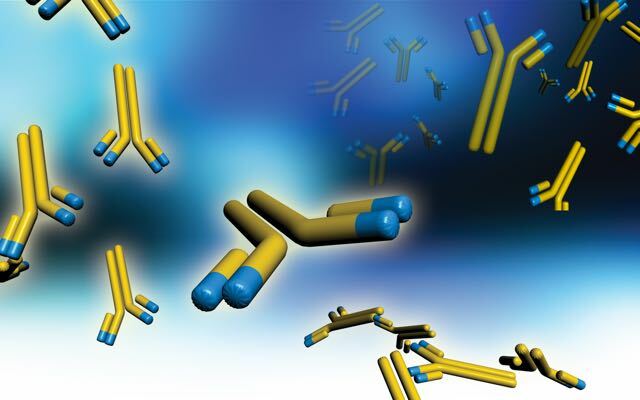 In the end, we’ll be doing the Annals of the Rheumatic Diseases article: Comparison of individually tailored versus fixed-schedule rituximab regimen to maintain ANCA-associated vasculitis remission: results of a multicentre, randomised controlled, phase III trial (MAINRITSAN2). While this article is not open access, we’ll certainly be summarizing the article and discussing findings in typical journal club style. We hope you’ll join us and your online colleagues for this learning opportunity. If you’re new to #RheumJC, take a look at our Intro to Twitter page or our Journal Club Getting Started Guide. Please remember to try to stay on topic whenever possible. We welcome suggestions for future articles for discussion. Please send your suggestions by Direct Message on Twitter to @RheumJC or email us at rheumjc@rheumjc.com.